One thing I used to find very hard is finding vegan egg replacements. 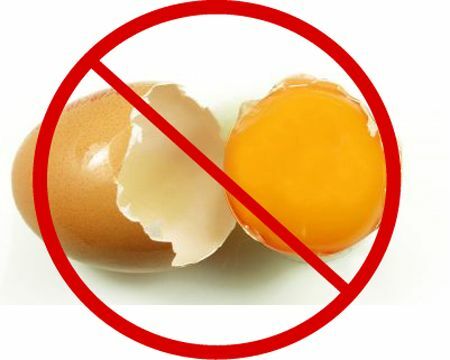 Eggs do help with texture, especially in baking, but this is surely not a good enough reason for one to compromise their vegan values! Brownies Silken Tofu/ Tofu ( 1/4 cup blended silken tofu = 1 egg ) Process in a blender until completely smooth and creamy, leaving no graininess or chunks. You will want to attach other wet ingredients to this mixture to return with it to blend properly. Applesauce (1/3 cup applesauce = 1 egg or ¼ cup Applesauce + 1 tsp Baking Powder ) Chocolate in the brownies overpowers the flavor of applesauce, so it can be safely used, and is in fact, one of the best egg substitute in a brownie mix. Soy Yogurt ( ¼ cup Yogurt= 1 EGG ) If you are a vegan, you may opt for soy yogurt. Just beat it well and add it to the brownie mix. Flax seeds (1 tbsp ground Flax seeds +3 tbsp Water =1 egg) Grind the flax seeds in a coffee grinder, and mix with water. Allow it to rest till it becomes gelatinous, then use. Commercial Egg Substitute Use as per instructions on pack. Many people who have used this find it can have a peculiar aftertaste. However, there have been exceptions to this case. Flax seeds (1 tbsp ground Flax seeds +3 tbsp Water =1 egg Adding ground flax seeds to any recipe adds Omega-3’s to the recipe! You can buy ground flax seeds in the health section of most grocery stores. Soy yogurt (1/4 cup soy yogurt = 1 egg) Soy yogurt works deeply like whiz tofu as an egg replacer. It makes things moist. Pureed Fruits (3 tablespoons of pureed fruit = one egg ) Another good egg substitute for baking cakes is adding pureed fruits. Use 3 tablespoons of pureed banana (for one egg) and follow the same tips for baking cake. Even without eggs, you will surely serve a soft and delicious cake with pureed fruits. Flaxseed (1 tablespoon of flaxseed oil+ 3 tablespoons water = 1 egg) Stir the flaxseed mixture well and allow it to thicken for a few minutes. Strain the seeds by using a muslin cloth and use the filtrate for baking cake. Vinegar and Baking Powder Use this egg substitute in cake, only when you require more than one egg for baking. Mix one tablespoon each of white vinegar and water in a glass. To this, add one teaspoon of baking powder and stir well until the mixture blends well. Now, use this egg substitute for your cake recipe. Soda Pop A regular-sized (12 oz.) can of soda pop can be used as a substitution for 3 eggs in your baking recipes. Additionally, one regular-sized (12 oz.) can of soda pop can be substituted for the oil/egg combo required by most boxed cake mixes. Ener-G Egg Replacer(follow package instructions) It seems to work best surrounded by cookies, or things that are supposed to be a little crispy.Otherwise, there have been complaints that it tends to add certain aftertaste noticeable more in other bakes like a chalky taste. Pancakes Flax seeds (1 tbsp ground Flax seeds + 3 tbsp Water = 1 egg Adding ground flax seeds to any recipe add Omega-3’s to the recipe! You can buy ground flax seeds in the health section of most grocery stores. Savory Dishes(as binders/coating) Mashed Potatoes When a recipe in any savory dish like Vegetable Loaves or Burgers calls for eggs as a binding agent, then any of these will work as an substitute for eggs. When used for Frying (as an coating of eggs and flour), you can use a mix of all purpose flour + water to form into a paste and apply that as coating instead of beaten eggs. Chocolate pies, Quiches, pudding Tofu Tofu is great for egg substitutions in recipes that call for a lot of egg. To substitute for only one egg in a recipe, whip or blend 1/4 cup soft tofu and add to your cooking. Salads/ Sandwiches/Omelet Tofu Diced or mashed tofu can replace chopped hard-boiled eggs in some salad and sandwich recipes. Scrambled tofu makes a delicious alternative to scrambled eggs.